TWO municipal mayors, a vice mayor and a former mayor are being investigated by the Provincial Board’s (PB) committee on complaints and investigation over charges of abuse of authority filed by their constituents. PB Member Raul Bacaltos, the committee chair, identified the respondents as Mayor Elanito Peña of Minglanilla and Mayor Zigfred Duterte of Tabogon, former mayor Lionel “Balondong” Bacaltos of Sibonga and Vice Mayor Robert John Selma of Minglanilla. Peña and Selma were charged by Sherbie delos Reyes and Gregory Antony Quintana with grave abuse of authority, gross misconduct, dereliction of duty and violation of the Anti-Corrupt Practices Act. The complainants alleged that Peña and Selma collected P5,000 “goodwill money” from vendors so they can be assigned market stalls, even if there is no ordinance covering it. Delos Reyes and Quintana are market vendors in Barangay Poblacion and are members of the Public Market Vendors Cooperative. They said that when the new public market was about to be finished in 2014, they were advised to give goodwill money so that they will be given a stall or space in the new public market. 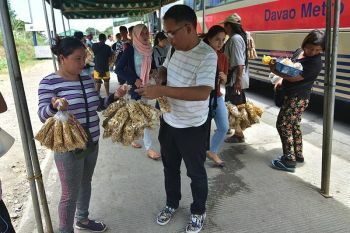 When sought for comment, Peña said the P5,000 was the down payment for the rent of market stalls because the Municipal Government is not offering it for free. Peña said the complainants are not paying market rentals and if the Municipal Government collects it from them, the P5,000 will not be enough to cover their obligations. On the other hand, Duterte, a distant relative of President Rodrigo Duterte, was charged by Municipal Councilor Rodrigo Sinoy for ordering the construction of a wet and dry public market in Barangay Ilihan in Tabogon without authority of the Municipal Council. The proposed project worth P3.2 million was awarded to Beecartine Construction and Supply. Sinoy, in his complaint, said that although the Municipal Council included the project in its calendar of business during their session on Aug. 12, 2015, this was not approved because the mayor and the contractor did not submit supporting documents as requested by Vice Mayor Frederick Serafin. 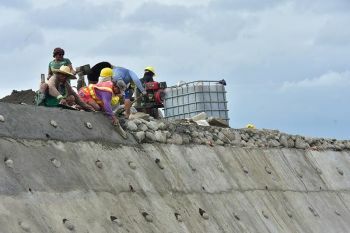 Sinoy said Duterte violated Section 27 of the Local Government Code, which provides that no project or program shall be implemented by government authorities without the approval of the Municipal Council. Mayor Bacaltos of Sibonga was also charged by Municipal Councilor Mary Joejie Chan for allegedly appropriating for himself, in the form of an honorarium, Philhealth funds that were intended for their constituents under the Per Family Payment (PFP). Chan said that the Philhealth regional vice president wrote a letter to Mayor Bacaltos on May 28, 2012 informing him about the release of the PFP, which will fund the primary care benefit services of identified poor residents of the municipality. But instead of paying the whole amount to intended beneficiaries, Chan said that Bacaltos collected P17,512.50 from the fund for his honorarium. The respondents did not appear during the hearing yesterday. Sun.Star Cebu tried to contact Duterte, Bacaltos and Selma but they could not be reached for comment.